Levi's is the first to test Intel's Responsive Retail Platform, which is predicated on 'real-time/all-the-time' inventory insights to reverse retail traffic declines. Intel is making a $100 million commitment to retail technology over the next five years, as the company continues to expand from its profile as a computer chipmaker and into a cloud-based, Big Data support system for the Internet of Things, marketing analytics, virtual reality, artificial intelligence, automation, and robotics. 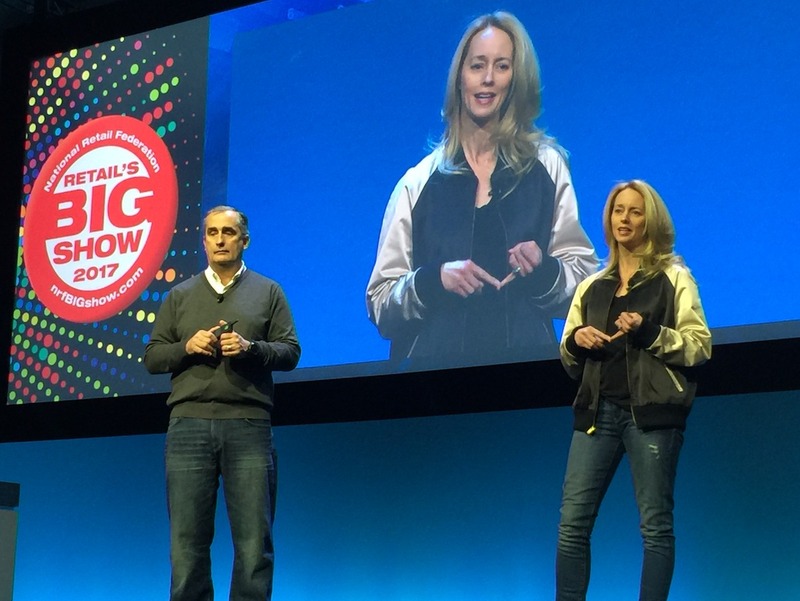 In a keynote presentation at the NRF 17 Big Show conference at the Javits Center, CEO Brian Krzanich outlined a series of initiatives and partnerships with companies like Alibaba on VR marketing programs, such as one that connected China-based consumers to a store in New York that drew 11 million “VR customer experiences” on the most recent Singles Day — the Nov. 11 “holiday” in China that’s essentially a combined anti-Valentine’s Day and Black Friday rolled into one. Krzanich touted VR’s practical retail viability as something that brick-and-mortar businesses can take advantage of right now, predicting that stores could realize an ROI of $16 for each $1 spent on planograms that are used to configure product placement on shelves. In describing how this $100 million commitment would work, Krzanich kept the details fairly general. At the center of this special focus is Intel’s other new initiative, Responsive Retail Platform, that promises to integrate and “standardize” the processes of a broad range of software and hardware tech services, APIs, and sensors for stores. Levi’s is among the first brands to take Intel up on its retail tech vow. In the second half of Krzanich’s keynote, Carrie Ask, Levi’s EVP and president of Global Retail, shared the stage to discuss how the Responsive Retail Platform is helping the 164-year-old jean and apparel brand get a handle on an industry-wide marketing problem that is as ingrained as it is unsexy: inventory management. Getting in-store inventory insights — specifically, shelf-level in-stocks — and accurate inventory is an age-old problem for retail, Ask noted when she took the stage. What currently passes for advanced programs for inventory management remain inadequate. While these systems can tell when a specific item is in the store, most systems can’t determine if the product is actually on the sales floor. Figuring out if it’s in one aisle or another is practically unheard of, Ask indicated. On top of those limitations, inventory systems are notoriously inaccurate and imprecise. “It’s retailers’ Achilles Heel,” she said. “Imagine, for a moment, you just got invited to a big event with Richard Branson,” Ask began (referring to the morning’s previous speaker). “You head out to a retailer to look for that perfect item. And you see it: in a window, on a sign, or on a mannequin. “As you walk across the sales floor, you see it — and it’s perfect. But when you get closer, you see they don’t have the size on the floor. The salesperson uses their radio or store public address system to do a sales-check. “‘It looks like we have another one in stock,’ the salesperson says. Your hopes begin to rise again, only to fall when the salesperson comes back empty-handed. Even though the system said it was there. Levi’s conducted a global survey of customers in our stores to look into consumer behavior and found an interesting disconnect: While store traffic is declining, consumers’ purchase intent when visiting a store is rising. It makes sense, Ask noted: after all, shoppers don’t have to go to a store any more (though, for the overwhelming majority of consumers continue to shop in a physical store) considering the ease of e-commerce. So when consumers do go to a store, it’s for a very clear purpose. As a result, “out-of-stock” and “couldn’t find the item I intended to buy” were the top barriers to purchase. Those are also the primary reasons consumers give when asked why they didn’t return to shop in a store, Ask said. Given consumers’ changing impulses and expectations, the opportunities and the stakes are higher than ever for retail, Ask added. By working with Intel, Ask said Levi’s hopes to eliminate the out-of-stock frustration for consumers across the San Francisco brand’s 50,000 distribution points, which include its 2,200 branded stores, and 700 owned-and-operated outlets, as well as aligning it with its e-commerce and social media channels. The goal is to develop “real-time, all-the-time” inventory insights at its stores. Doing so should free up Levi’s store teams in ways that allow them to shift focus to directly assisting the consumer —and away from inventory management. 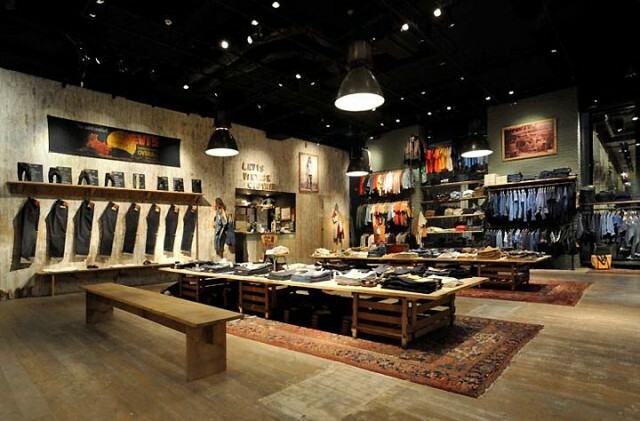 It also gives Levi’s planning and allocation teams more accurate information to guide inventory decisions. 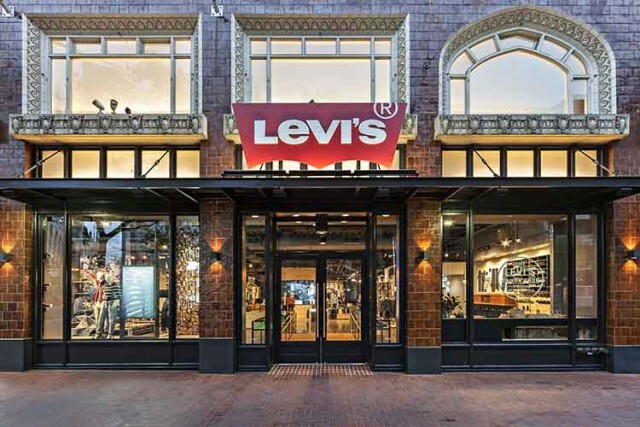 The pilot program has been going on since the spring of 2015, when Levi’s agreed to install Intel’s RFID sensors in the ceilings of several locations to track clothing on the racks wherever they are in the store. The ceiling-mounted sensors detect the product’s position and informs analysis of inventory levels and in-stocks. It even triggers replenishment actions. The ceiling-mounted sensors also detect when a product is moving, which has eliminated the need for hand-scanning, Ask said. 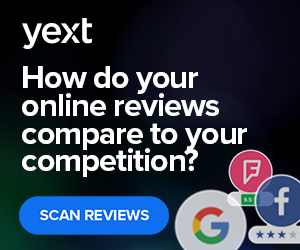 “We’re excited about progressing to the next phase of this program, where we’ll be rigorously measuring the results and benefits versus a control group of stores without the technology,” Ask said. 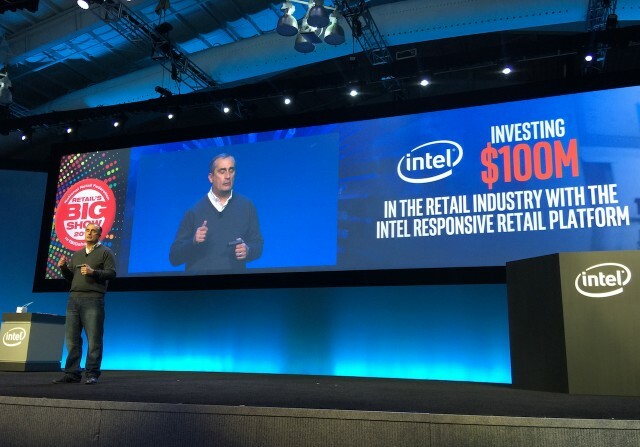 In Krzanich’s view, Levi’s use of its Responsive Retail Platform represents a validation of the course Intel has been navigating over the past two years by shifting its profile to compete with companies like Salesforce by providing platform and data services, though still building on its original role as chip manufacturer.